Alastair has a passion for helping businesses achieve extraordinary results. He has over 20 years’ experience working for world class companies (including Toyota) and now guides companies on their journey to becoming high performing organisations. His interest in sustainability grew whilst supporting businesses to set strategic plans and realising that many organisations are not planning for the future. A Circular Economy aha moment came when buying new football boots for my children every 6 months and realising that they are designed to fail. I realised most companies’ business models are built around obsolescence. To change this we need to create the appetite to change and an economically sound solution. Claire previously worked for Landcare Research where she co-edited a book (Hatched) on the capacity for sustainable development in New Zealand and researched policy innovation in sustainable urban development. Prior to that she worked for the Auckland Regional Council where she project led the Auckland Sustainable Framework - a strategic plan for Auckland with a 100 year planning horizon and the Big Clean-Up - an environmental social marketing campaign. One Circular Economy aha moment was when I was working as a press photographer for Greenpeace in the Mediterranean. An Italian fishing boat which we had just been protesting against invited me on board and I spent the morning watching them haul up net after net of rubbish and just the odd fish - it felt like the balance of an entire ocean had been tipped. 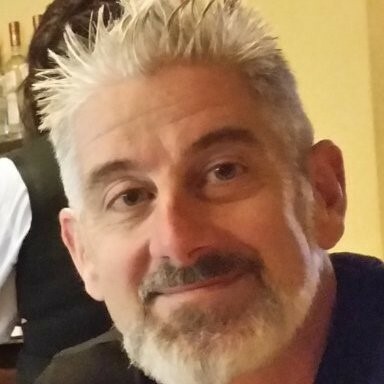 Jeff has over 20 years’ experience in delivering waste minimisation and resource efficiency programmes in New Zealand and internationally. He has helped all levels of business from micro to global improve their sustainability and people he has trained through his academic career are embedded in decision-making roles in businesses throughout the world. Jeff has also been very active in government policy, from being part of the panel that developed the old Auckland City’s first waste management plan to leading the Waste Minimisation Act through parliament when he was at the Ministry for the Environment. More recently he has provided legislative guidance to developing nations’ governments to move from dumping societies to circular economies through his work with the United Nations. My aha moment came in the mid-1990s when I first heard about the Karlundborg industrial symbiosis network in Denmark where companies collaborated to use each other’s by-products and share resources. Rather than government planning, this arose unintentionally through private initiatives. Each link in the system was negotiated between parties and established only if it made economic sense. The results have been exchanges of waste, water and materials have greatly increased environmental and economic efficiency, as well as created other less tangible benefits for these actors, including sharing of personnel, equipment, and information. I believe SBN can play a critical role through bringing together its membership of dedicated business people who see the benefits of economic development enhancing social development while providing sound environmental management to implement a circular economy. Jen McIver is co-founder of Wishbone Design Studio, a family-owned design and export business which aims to influence consumer and manufacturer behaviour in the global toy sector. Wishbone's award-winning products are designed for multi-functionality, modularity, longevity & refurbishment and use recycled raw materials for waste reduction. Wishbone measures success by customer engagement & satisfaction, product value and operational efficiency rather than by simple revenue growth. Prior to founding Wishbone, Jen represented New Zealand in multilateral fisheries and law of the sea negotiations. Jen has worked as an international lawyer in Wellington, London, New York, Washington DC and Africa, and as a ski instructor in Canada and Austria. Juhi Shareef is all about circular. She has over a decade’s experience delivering sustainability strategies and supply chain projects both as a consultant and in-house sustainability manager. 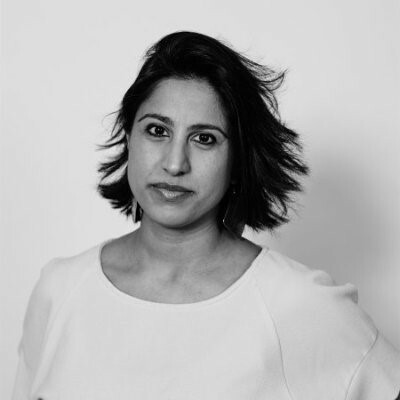 Currently Juhi is the Senior Sustainability Advisor to Vector Ltd, where she created the Battery Leaders Group who are seeking circular solutions for large batteries and creating an industry product stewardship framework. She previously headed the Fuji Xerox NZ (FXNZ) sustainability team which developed and implemented a sustainability strategy committing the business to becoming net zero carbon by 2030. She ensured that FXNZ was the first founding member of the SBN Circular Economy Accelerator and, believing that product stewardship can be the first step to a circular economy, Juhi co-authored a free, open-source Product Stewardship Roadmap for businesses in NZ. She led the improvement of the FXNZ product stewardship scheme to ensure that, in addition to machines being returned and refurbished to give them a second life, all waste toner was turned into low-carbon asphalt, TonerPave™. She sits on the Ministry for the Environment Product Stewardship Advisory Board and the WasteMINZ Product Stewardship Steering Committee. In the UK Juhi worked in a variety of industries, for private and public sector clients including the British Film Institute, The Football Association, Wembley Stadium, Stella McCartney and Marks and Spencer. She loves learning about how disruptive tech and innovation can achieve sustainability at scale. My circular economy ‘aha’ moment was years ago in the UK during my training to be a certified ‘Cradle to Cradle’ assessor for products. The aim of C2C is to keep resources circulating in biological and technical cycles (rather than dumping valuable resources and toxins into our ecosystem or downcyling them through recycling). During the training I learned that the circular economy was a macro version of cradle to cradle thinking, where businesses, industries and cities could align their systems to keep resources circulating. I thought this was a no-brainer. And, like all systemic change, quite a challenge to achieve. I’m delighted to be Chair of the CEA Advisory Board as I believe that NZ is the perfect scale to incubate these new business models and to become the world’s first truly circular economy. Katja Lietz is a sustainable urban development professional with 20 years experience. Her career has spanned local government, freelance research and for the last 10 years property development. She is the General Manager Masterplanning and Placemaking at HLC and holds an Executive MBA from Auckland University and a Bachelor of Technology from UNITEC. At Hobsonville Point she has lead the development and implementation of the Hobsonville Point Sustainable Development Framework and the Axis Series Affordable Homes Programme. Katja has a passion for housing, sustainability and placemaking. She has recently been part of the Wellington Mayor’s Housing Taskforce and the Beacon Pathway’s Medium Density Advisory Group. She takes huge satisfaction from the success of Hobsonville Point and now leads a wider team tasked with bringing a sustainable development approach to HLC’s new projects across Auckland. Marianna has worked across community, public and private sectors over the past 10 years. She developed and implemented the ‘Waste and Resource Efficiency Strategy’ for the Waikato region in 2012. She is currently working at the Ministry for the Environment in the ‘Investment and Partnerships’ directorate having recently led the 2017 review of the effectiveness of the waste disposal levy. She is also undertaking a Masters programme from Bradford University focused on Innovation, Enterprise and the Circular Economy. My ‘aha moment’ occurred when I read William McDonough, Michael Braungart book Cradle to Cradle: Remaking the way we make things. It reframed the way I saw the world and the potential power of systems thinking to solve some of our biggest issues. Parul is currently seconded to the General Manager position responsible for the waste department in Auckland Council. The role provides leadership in the development of policy and strategic advice for issues related to waste management and minimisation at local and national levels, service delivery to residents, operating some facility and looking at maximising revenue opportunities. Prior to working for Auckland Council she held senior strategic and operational roles with Waitakere City Council and Rodney District Council. Parul has a Masters degree in Environmental Science and a Diploma in Environmental Law. She has also undergone specialist intensive training in Denmark, Sweden and Germany on environmental technologies and services with an emphasis on Agenda 21 implementation, waste and cleaner technologies. Parul has extensive knowledge of local government processes, legislative context and the challenges local government face around waste management and resource recovery. She has worked in local government for more than a decade in New Zealand and understands the issues and opportunities that local government has in trying to achieve the goal of Zero Waste. Paul Evans is the Chief Executive Officer of WasteMINZ, the representative body of the waste and resource recovery sectors in New Zealand. WasteMINZ is an authoritative voice in the sector and seeks to achieve ongoing and positive development through strengthening relationships, facilitating collaboration, knowledge sharing and championing the implementation of good practice. 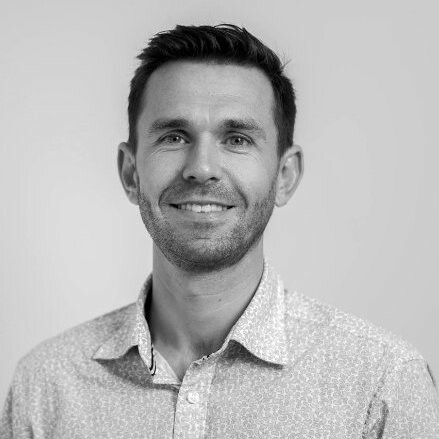 Peter is CEO of The Formary, a Wellington-based textile R&D company consulting globally on circular solutions for reuse of surplus and end-of-life textile waste streams. Peter joined the board of the Sustainable Business Network in 2017. He is also co-owner/director of IT consultancy Socket Group, which offers the text marketing solution TXT2GET. He comes from a wide and varied background in the IT sector, has a strong focus on a systems approach, and strongly believes in the value of resource efficiencies achievable by implementing a circular economy model. He brings a passion for protection of the environment and of social justice. My circular economy ‘aha’ moment was not so much a moment as an upbringing with a father who regularly scavenged (with the aid of his children!) old timber from the local tip and repurposed it into various bits of furniture which are still in use today some forty-plus years later - I guess that’s where my passion for repurposing pallets and using/reusing resources as efficiently as possible came from… The circular economy for me is a way of defining a system that will be crucial to reverse the failings of the current linear economy, and the resulting stress that we now find our planet under.